Green Monster | Cook. Vegan. Lover. This entry was posted in breakfast and tagged breakfast, green monster, rejuvenative, smoothie, sun warrior. Bookmark the permalink. i’ve made green smooooothies before, but never a green monster – it sounds so yummy! 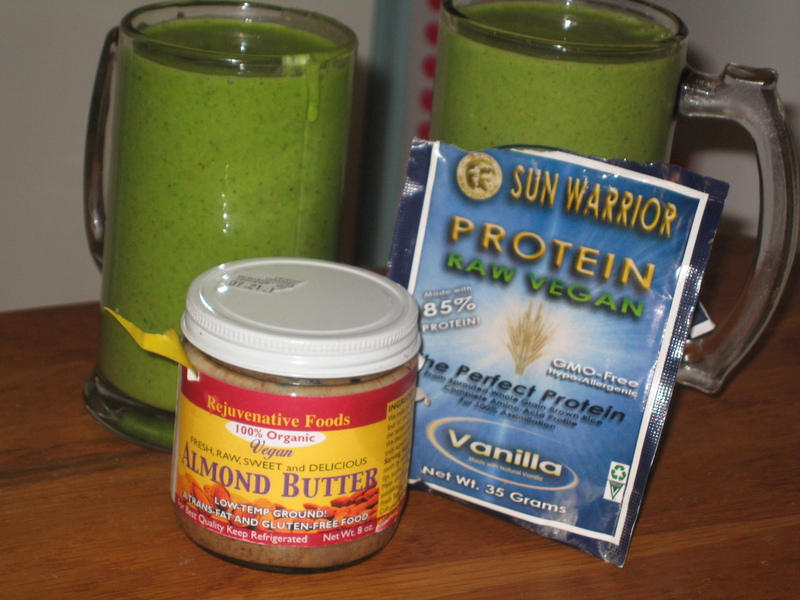 dan & i use the vega powder, but i’ve been wanting to try the sun warrior stuff, too. think i’m gonna see if i can find some packets at my local natural foods store. i love that it’s gluten-free, soy-free, and raw. so awesome!